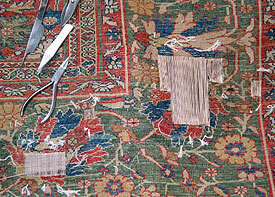 Antique Rug Company provides expert Oriental rug repair service for Hollywood. Pick up and delivery is available in surrounding areas including for zip codes 90046, 90048, 90069, 90068, 90027, 90028, 91604 and 91608. All handmade rugs are valuable works of art. Whether antique, collectible, family heirloom or new, all rugs need maintenance with use. You can protect and enjoy your valuable rug investment by following the simple maintenance and conservation steps outlined in our RUG CARE section. 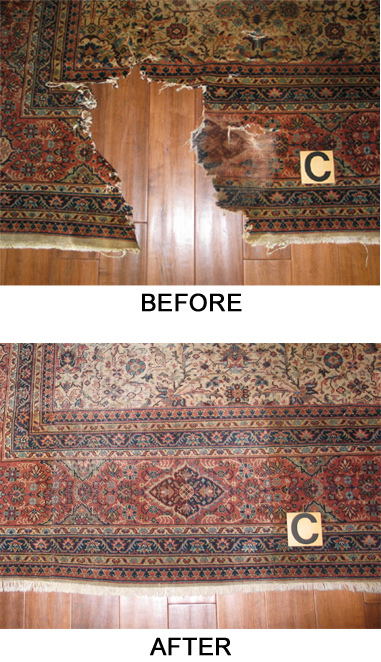 When damage happens, it is advisable to have your rug inspected and repaired to avoid further damages. 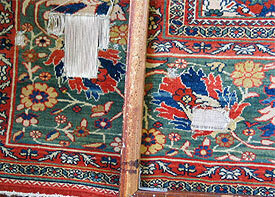 Our rug restorers provide you expert maintenance, repair and restoration advice, options and services. 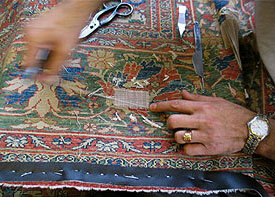 We repair all types of handmade, hand knotted and mechanical production rugs.